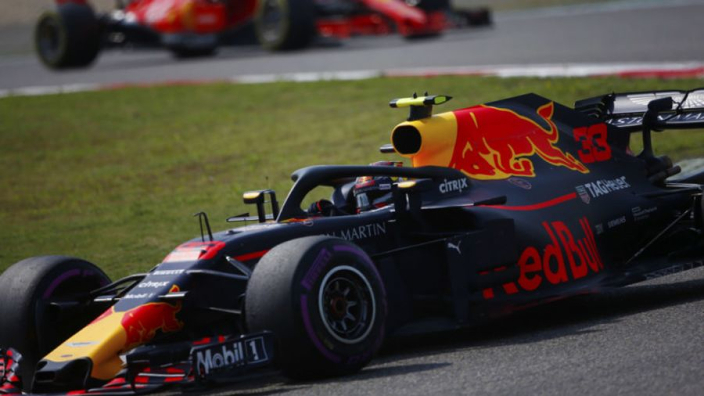 Max Verstappen needs to "sort himself out" and learn how to avoid incidents, says three-time Formula 1 champion Niki Lauda, after the Red Bull star's Chinese Grand Prix was once again tainted by a collision. Verstappen's chances have been affected by errors in all three races in 2018. A spin in Australia dropped Verstappen off the fight for a podium, before a clip with Lewis Hamilton ultimately ended his Bahrain Grand Prix and botched moves on Hamilton and Sebastian Vettel wrecked a race in Shanghai which he perhaps ought to have won, only to finish fifth. Red Bull's strategy to pit for soft tyres under a safety car helped Daniel Ricciardo storm to victory, but Verstappen was ahead of his team-mate after the move had been made. However, a rushed effort on Hamilton put Ricciardo ahead of him, before a potential podium finish went up in smoke when he sent himself and Vettel into a spin. "It was completely Max's fault," said Mercedes non-executive chairman Lauda of the incident with the championship leader. "When you compete in more races you should get more clever – especially when you want to win or challenge for the championship – but he is going the other way. "He needs to sort himself out. Nobody can help him." Hamilton mentioned Verstappen's relative inexperience after their contact in Sakhir, but Lauda - like Vettel - does not think Verstappen has that excuse in his fourth F1 season. "He is not young," Lauda added. "He is old in Formula 1 now so he is like everybody else. It is not necessary because it hurts him as well." Verstappen is eighth in the drivers' standings after three races in 2018, 36 points behind Vettel.